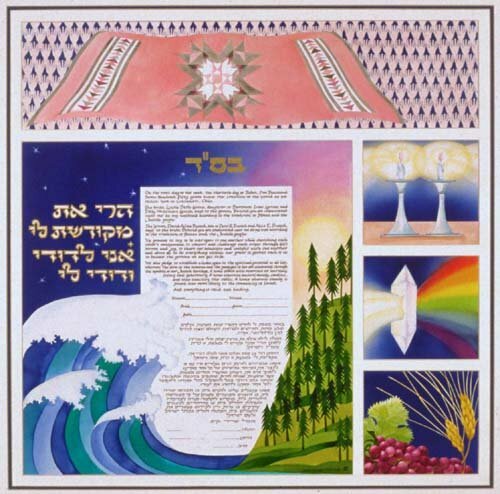 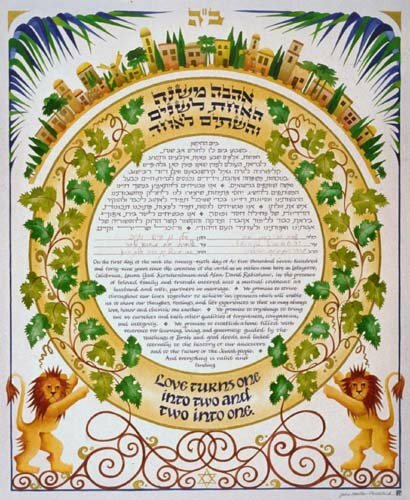 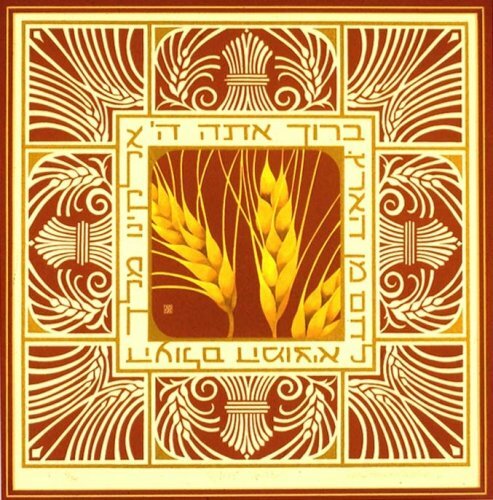 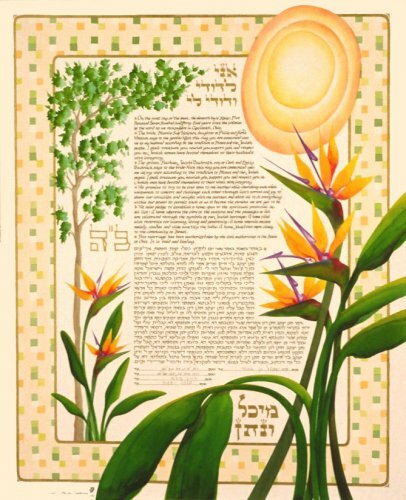 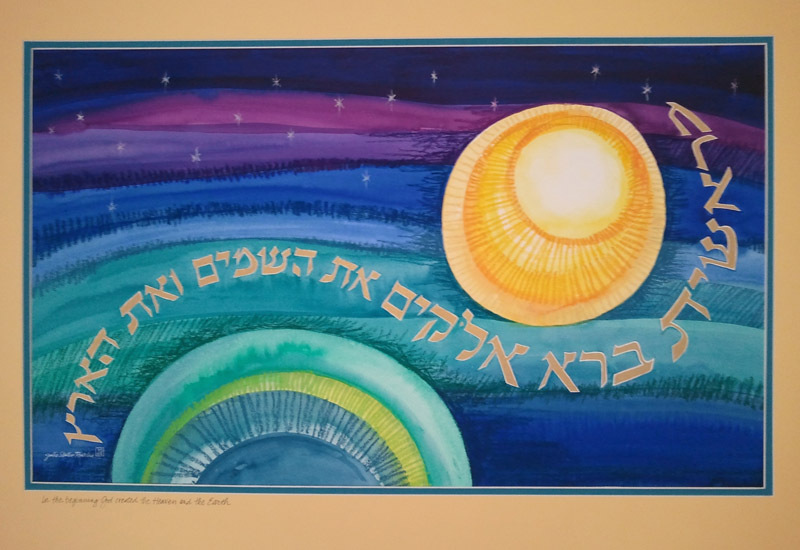 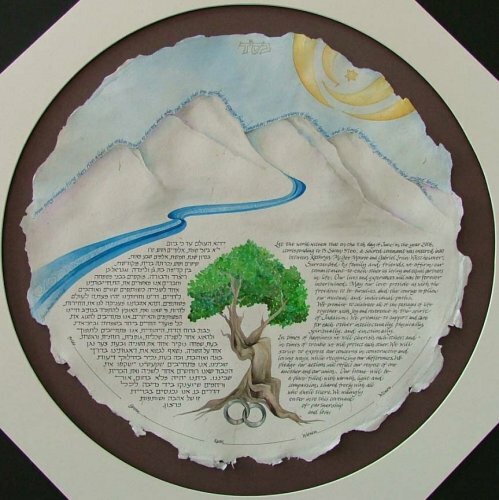 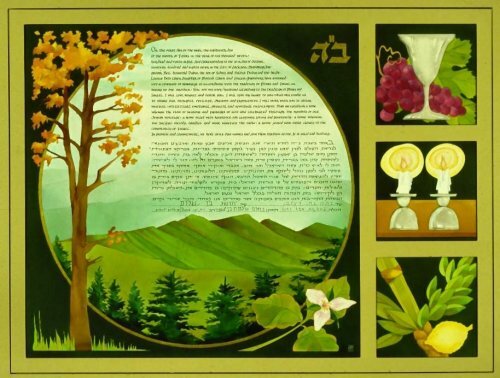 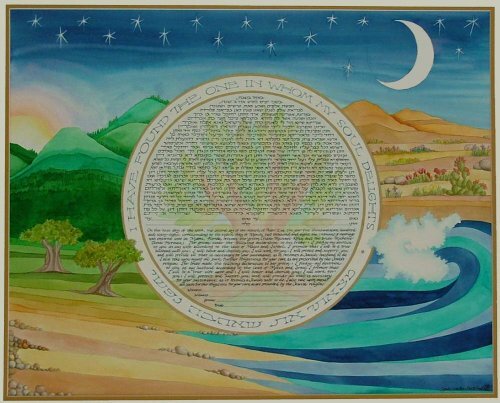 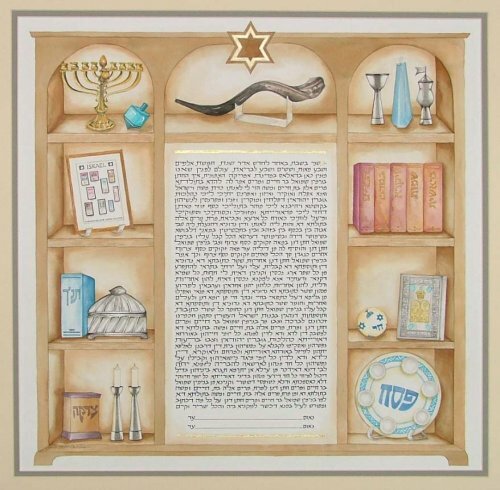 This is an original Ketubah. 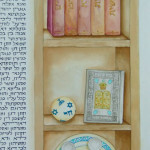 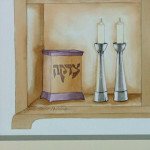 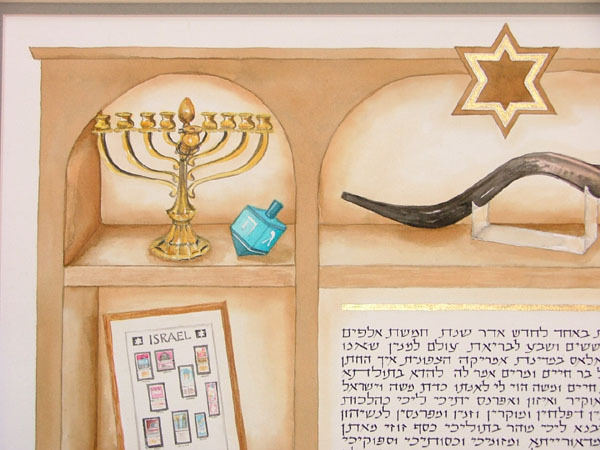 The couple wanted a bookcase designed and filled with items of Judaica. 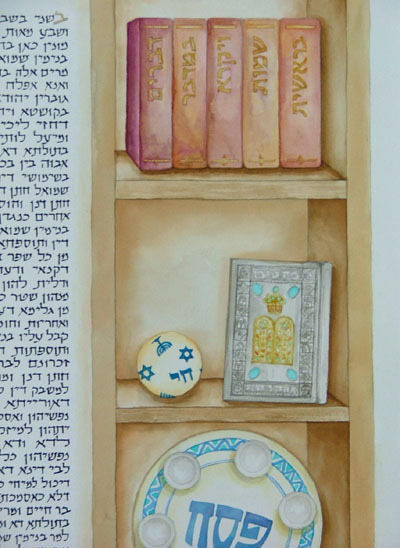 Many of the items were things that they owned and wanted shown in the bookcase. 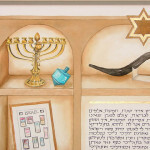 I was able to work with photos of these items that they supplied, to be able to include them in their Ketubah. 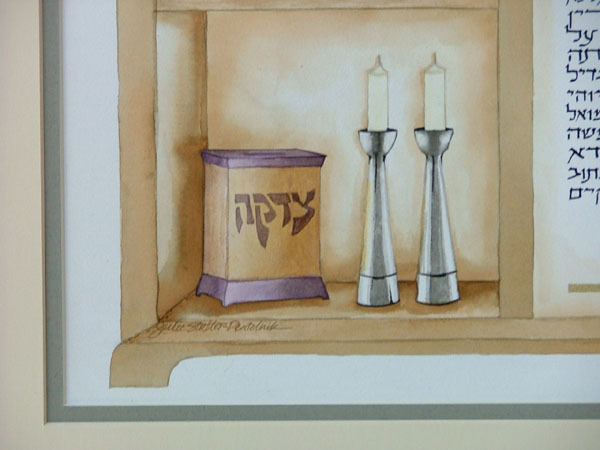 This product for display only.